Word games are taking a major force in social networks. For example in Facebook, games like Words with Friends and Scramble with Friends are one of the most popular, although there are dozens of options for lovers of letters and words. On the other hand, Twitter, with the simplicity of the service offered, had no games to call attention to the vast number of daily users who share their time in 140 characters. Now, in an effort to promote and give more force to a new board game called Scrabble Trickster, originated Twitter Scrabble, which makes use of the microblogging social network Twitter. A large number of users are already enjoying with this novel idea. It is a game in which words are created from a number of randomly chosen letters. Each letter has a different score depending on the number of words that can be created with it. Thus the volcales generally have a value of 1 point, while the X or Z has a much higher score. 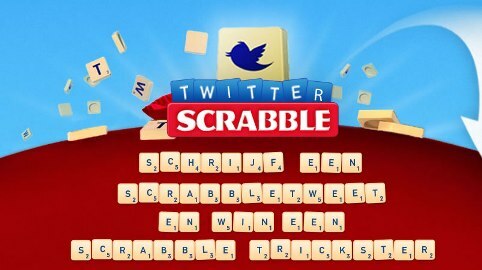 To play Twitter Scrabble you have to enter the website twitterscrabble, register with the Twitter username, and choose 100 letters to create a Twitt that wins the most points. The user who achieves the highest score gets a prize. There is nothing to lose, everything to gain and it’s fun and challenging! Enter now and play with Twitter Scrabble.